WhatsApp? & Is Office finally coming to iOS? Man has it been a busy couple of weeks of new technology news! You have to love this industry as things are changing everyday. Recently there has been big news of a purchase of an extremely popular application and the one question many iOS users are asking: is Microsoft Office Suite finally coming to iOS? 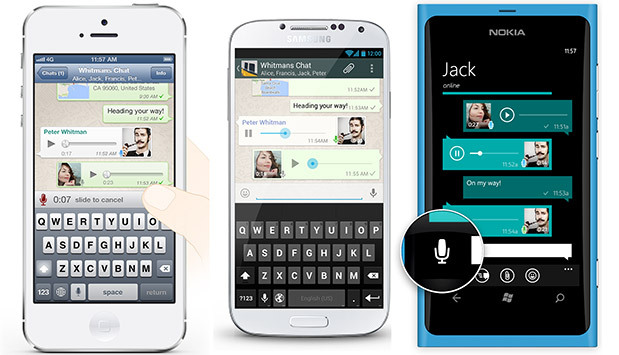 Most recently there has been huge news of a very popular mobile phone application called WhatsApp? WhatsApp is an application that allows users to communicate with friends and family without having to use your short messaging service (Or the thing you call a texting plan). You can text your friends or start a group chat on the go. All you need is a wireless connection (or a smartphone) and you are good to go. This has become an extremely popular app with over 300 million users daily. Not only can this be easily used but this is free! But here’s the catch: Only the first year is free and the years after you will be paying .99 per year. Still not a bad deal for those who want to text or chat on the go but don’t have a text plan on their mobile phones. WhatsApp is available on all platforms. For more information head over to the Apple App Store, Google Play Store or the Windows Phone Store. Chat on! The rumors are also floating that they may add a voice call feature. There have been a lot of rumors recently regarding a possible question many iOS users want an answer to…..Is Microsoft Office Suite making it’s way onto iOS?! Well let’s clear one thing up, yes and no. Yes Microsoft is currently in the process of coming up with an application for iOS users who want to edit their essays on PowerPoints on the go. But there may be a long wait for this. 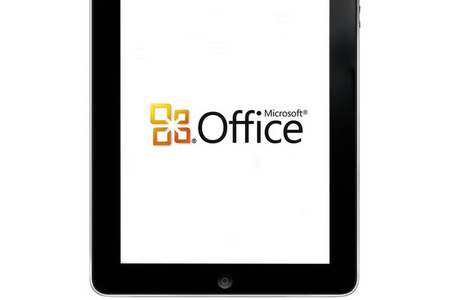 We still don’t know when exactly Office will arrive on iOS or Android devices but we do know that Microsoft is working on it. Well that’s the latest big news in the technology world! Told you it was a busy couple of weeks! If you have any stories that you want us to write about feel free to leave us a comment. Also our next Mobile Technology User Group meeting will be happening on March 6th, 2014 @ 3:30pm in E319 in NYC and Miller16 in PLV. We hope to see you there! We just had our last iPad meeting of the semester and this one got us excited for what the iPad has in store for future semesters. The theme of the meeting was using the iPad in the classroom. Even though a lot of students on our campus may not have an iPad, maybe the experiences shared by the professors at Seton Hill University might have changed some minds about investing in one. Our guests were professors and directors from Seton Hill University. Melissa Alsing who is the director of IT and Dennis Stern, who is an English professor at the university, talked about everyone on campus having an iPad and MacBook in their own hands. This program is called the Griffin Technology Advantage. He talked about the integration of iPads in the classroom and he talked about ways he used them in class. You can watch some videos here explaining how professors and students love using the iPad and how it helps them in class. Two other guests from Seton Hill were Kathy Harris and Mary Spataro, who both work in Education/Teaching. They described the experience of using iPads in class as encouraging. They enjoyed the fact that students were more engaged and more motivated to do well. We hope after reading and looking around Seton Hill University’s website that this might convince you to get an iPad. The model that they have adopted of an “iPad 2 for Everyone” is nothing short of a brilliant way to set their students up for successful college careers. iPads are great for classes as you feel more engaged and more excited to learn. There are many subject specific apps that help you reinforce what you already know, as well as give you the tools needed to take the next step in your course. This was a very successful semester and we hope to see you come September with your iPad at our kick off meeting (date, time, and location TBD). If you have any comments or questions feel free to leave them here or bring them to the next meeting. Please be sure to join us at our next iPad meeting.